The court-appointed guardian for Sara Duzan, who is now supportive of her care in a group home where Sara has been subjected to restraints and seclusion, strongly opposed the use of those methods for controlling her behavior in two previous publicly funded residences. Emails and other records in the case show that both Lynne Turner, Sara’s guardian, and Turner’s husband, Michael, were highly critical in late 2011 and early 2012 of Sara’s care and treatment at the Spaulding Youth Center in New Hampshire and the Kolburne School in New Marlborough, MA. In addition, Michael Turner, who was the attorney for Sara’s family until December 2011, criticized Sara’s previous guardian for having cut off all communication between Sara and her family. The circumstances of 2011 and 2012 appear to have repeated themselves in the past several months, only it is now Lynne Turner who, as Sara’s guardian, has cut off all family communication with her and appears to be in support of the use of physical restraints on her and enforced seclusion in her current residence operated by Becket Family of Services. Lynne Turner has billed the family for her guardianship services, but the Duzans have refused to pay, contending they were initially assured there would be no charge for those services and that there was never any court order or agreement that they pay her. I sent several email and telephone requests to Lynne Turner, asking, among other things, whether she has visited Sara yet in the Becket residence and whether she is satisfied that the staff there are using restraints and seclusion appropriately on Sara. Other than to say in an email that she is a sole practicing attorney, in response to a question about her professional relationship to her husband, Turner did not respond to my questions. Meanwhile, Massachusetts state Representative Paul McMurtry, whose district includes the Duzans’ hometown of Westwood, said he was committed “to doing everything possible to realize the goal of Sara’s return to her family.” McMurtry called the cutoff in all family communication with Sara “heartbreaking,” and said he finds it “unacceptable” that Sara’s parents have been forced to spend a large portion of their life savings in legal fees in a battle in the probate court system over their daughter’s care. In a guardianship report filed with the Norfolk County Probate Court on December 13, Lynne Turner stated that Sara’s care and treatment plan in her current residence “appears to be appropriate,” and that the “director and clinical director have been very attentive to Sara’s behavior and needs.” Turner’s report did not mention the use of restraints or seclusion on Sara by that facility. Turner also stated in the report that she had never visited Sara in the Becket residence, in which she had placed her on July 24. Sara was placed in physical restraints in the Becket residence 37 times and was placed in seclusion 59 times between last July and November, according to clinical records filed with Turner’s guardianship report. Turner, who was appointed Sara’s guardian in December 2011, has upheld restrictions on all family contact with Sara in her current residence. The Duzans have been prohibited from visiting her since last July and from contacting her in any way since before Thanksgiving. Turner further prevented the family even from sending Sara presents at Christmas; and Sara’s mother, Maryann, says flowers sent by the family to Sara were not given to her. Maryann Duzan contends that the reason for the latest cutoff in all family contact with Sara has been to prevent the family from learning more about the extent of the use of restraints and seclusion on Sara in her current residence and the effect those techniques are having on her. Restraints, in particular, have become increasingly controversial, and have been found to cause injury and death in some instances to persons subjected to them. Sara, now 22, has a rare genetic disorder called Smith Magenis Syndrome, which is characterized by intellectual disability and behavioral outbursts. The Duzans lost their guardianship of Sara in 2009, stemming from an admission by Maryann that she once slapped her daughter on the cheek, and the conclusion of a probate judge that the family has been uncooperative with providers in caring for her. Maryann says she slapped Sara lightly because Sara was acting aggressively while at home and was threatening to throw a radio at her. Her admission of the slap, however, led to an investigation of the Duzans by the Disabled Persons Protection Commission, which then filed motions in probate court to limit the family’s guardianship of Sara. In 2010, a probate court judge ruled the family unfit as guardians, but nevertheless characterized the Duzans as a loving family toward Sara. Maryann maintains that while Sara was in their care, the family never used restraints on her even when she had behavioral issues at home. The Duzans and many other families with children with Smith Magenis Syndrome maintain that the use of restraints, in particular, on persons with the syndrome is counter-productive and actually makes their behavior more violent. In 2011 and 2012, Lynne Turner appeared to have been in strong agreement with the Duzans that restraints used on Sara were inappropriate and counter-productive. In a January 24, 2012 email, written shortly after her appointment as Sara’s guardian, Turner stated that Sara “has been abused in two programs.” Turner’s statement was in reference to allegations by the Duzan family that Sara had been abusively restrained at the Spaulding Youth Center between 2008 and 2010, and at the Kolburne School in 2011. Turner’s January 2012 email alleging abuse of Sara in the two programs was written to Aaron Ginsberg, a staff attorney for the New Hampshire Disabilities Rights Center, who found that the Spaulding Center had subjected Sara to hundreds of inappropriate restraints between 2008 and 2010. Ginsberg noted that Sara frequently suffered bruises and other injuries from what are known as prone restraints, and was subjected to hours of enforced seclusion. In addition, staff at the facility joked about Sara and other residents of the facility on Facebook, Ginsberg stated in a DRC memo. 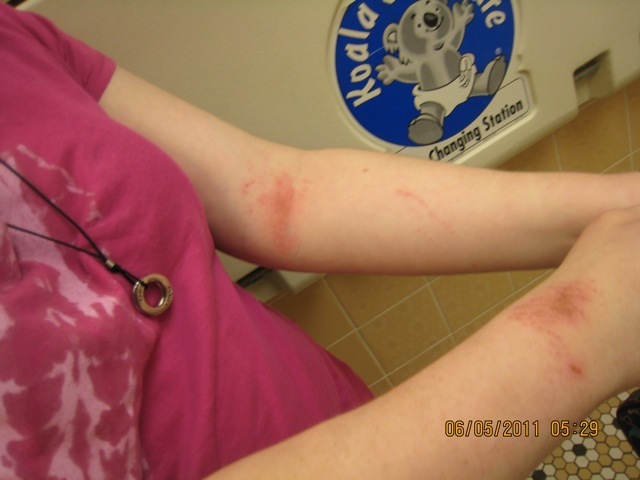 Photo taken by Maryann Duzan of injuries to Sara’s arms, which Maryann claims were the result of physical restraints used on her at the Kolburne School in 2011. At the time, Lynne Turner, now Sara’s guardian, was highly critical of the use of restraints on Sara. Photo taken by Maryann of injuries to Sara’s right foot, allegedly resulting from restraints used on her at the Kolburne School in 2011. Lynne Turner’s January 24, 2012 email to Ginsberg included an attached draft document, which echoed Ginsberg’s findings regarding the restraints used on Sara at Spaulding. The document was a draft complaint to the director of the Bureau of Special Education Appeals, charging that Sara was being “brutalized” at the Spaulding facility, and that the Westwood School District, which was then providing her special education services, had failed to investigate the alleged abuse. The allegations in the draft BSEA complaint were originally made in a legal claim, sent by Lynne Turner’s husband, Michael, to Governor Deval Patrick and Attorney General Martha Coakley on March 11, 2011. Michael Turner, with whom Lynne Turner shares a law office in Marion, MA, was working at the time as the Duzans’ attorney in their probate court battle over Sara’s care and guardianship. His claim announced that he intended to file a $5 million lawsuit against DDS and the Disabled Persons Protection Commission on behalf of the Duzans in connection with the alleged abuse of Sara at the Spaulding and Kolburne facilities. The lawsuit was never filed. …This pattern is seen during Sara’s elementary years when Westwood built a box in Sara’s classroom in which to dump Sara, in which she would scream for hours and no one would care for her or help her. Westwood never informed the parents of this cell nor was this cell in the IEP (Individual Education Plan for Sara) or in a behavior plan the parents signed. This cell was only discovered by the parents when Sara came home with some of her teeth in a plastic bag. Sara lost a number of teeth while in the cell, urinated on herself because they would not let her out. The abuse Westwood visited upon Sara, at Spaulding, was and is only part of the years of abuse perpetrated upon Sara by Westwood. … because DPPC and DDS did not exercise their investigatory powers appropriately. They clearly failed to exercise due diligence in the investigation of Sara Duzan’s mistreatment and her injuries and failed to keep her safe. The Disability Law Center has pictures of Sara’s injuries which substantiate the abuse and neglect suffered at the hands of Kolburn (sic) staff which DDS and the DPPC have totally ignored and it would appear so has the Disability Law Center. 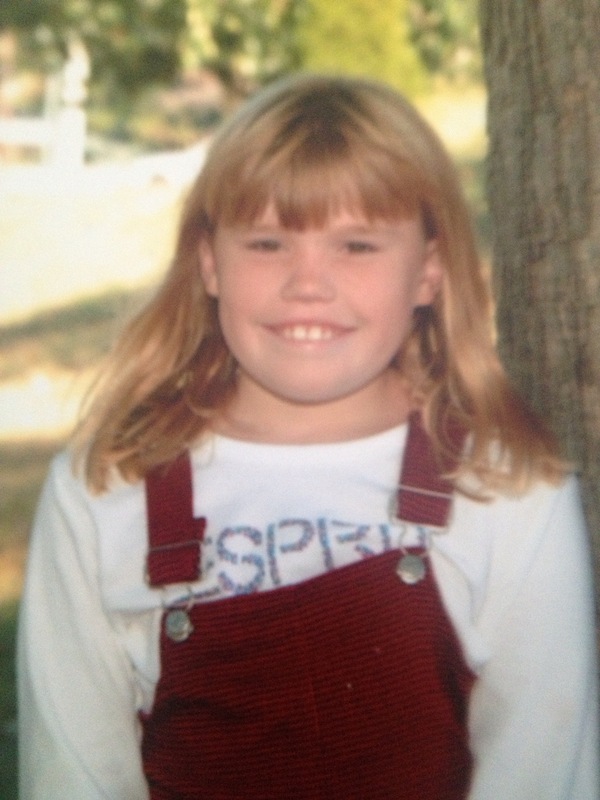 A photo of Sara at about the age of 10. She lived at home until the age of 18. The family says they never used restraints on Sara. The use of restraints on persons with Smith Magenis Syndrome has been criticized as counter-productive. In 2009, the Duzans attempted to enlist the DPPC and DDS in investigating their abuse allegations. Both the DPPC and DDS, however, instead went after the Duzans themselves, accusing them of abusing Sara and causing her emotional distress. None of those allegations has been upheld, other than the charge that Sara’s mother, Maryann, had slapped her on the cheek on one occasion in 2009. The draft BSEA complaint, attached by Lynne Turner to her email to Ginsberg, and Michael Turner’s claim to the governor and attorney general both characterized the allegations against Maryann and other family members of abuse as “egregiously false,” and stated that they had led to the removal of the Duzan family members as Sara’s guardians. Maryann Duzan says the Disability Law Center declined the family’s requests in 2010 and 2011 to investigate Sara’s care at Spaulding and later Kolburne. Last week, the family contacted the Disability Law Center once again, seeking an investigation of Sara’s current situation. …only continues the outrageous abuse Kolburne has suffered (sic) upon Sara which Dan Smith has pictures of and written reports of each incident per the Department of Education Regulations. The only possible reason for Dan Smith to deny parental access to Sara Duzan is so they will not lean of the ongoing abuse of Sara which Daniel Smith has known of since Sara was at the Spaulding Center and did nothing. Michael Turner’s motion to remove Sara from Kolburne was denied by Probate Court Judge Angela Ordonez, resulting in an additional six months of confinement for Sara at the facility; however, Sara was returned to her parents’ home in December 2011 on Lynne Turner’s order as Sara’s new guardian. She lived at home until January 2013 with no state services or state-agency scrutiny, according to Maryann. At that point, Lynne Turner placed her in a residential program in Brewster where she remained until she turned 22 last July. Turner then placed her in the Becket residence, which is a DDS-funded facility. The Duzans say they objected to the Becket placement, requesting that Sara be returned home, but Turner denied their request. In an email sent to Lynne Turner on January 28, I asked whether she supported her husband’s statements about restraints in the video on his website. As noted above, I received no response to that question or to a question about her position on restraints at the Becket residence. The Duzan family has declined to pay for Lynne Turner’s guardianship services since she was appointed as Sara’s guardian by the probate court in December 2011. The family contends the court order contained no provision for payment of Turner and that it is not their responsibility to pay her. The Duzans also contend that Turner has not been acting in Sara’s best interest by allowing her to remain in the Becket residence and by cutting off their communication with her. Turner sent a bill to the family for payment for guardianship services, dated June 7, 2012, for $4,210. The bill claimed roughly 77 hours of work done by Turner, and 7 hours by a paralegal in her firm, both at a $50-per-hour rate, since Turner’s appointment as guardian in December 2011. Turner initially proposed a contract for her guardianship services for Sara that would have required the Duzan family to pay fees of $200 per hour to Turner, $200 per hour to another unnamed attorney in her firm, and $75 per hour to a paralegal and $25 per hour to a clerk in the firm. The proposed contract was signed by Lynne Turner, but the Duzans refused to sign it. Maryann and her son, David, said they had been assured by Michael Turner, prior to proposing his wife as Sara’s guardian, that there would not be a charge for her services. Lynne Turner’s proposed contract, however, referred to a court order that the family pay for Turner’s guardianship services, but Maryann maintains there was never a court order to that effect. Lynne Turner subsequently proposed a contract for guardianship services that specified a $50-per-hour charge to the Duzans for her services, $50 per hour to another unnamed attorney in the firm, $25 per hour to a paralegal, and no charge for clerical services. The Duzans refused to sign that contract as well. The Duzan family recently retained attorney Thomas Frain, who is COFAR’s president, to represent them in their efforts to return Sara home. In response to a request from Frain to Lynne Turner for records relating to Sara’s care in the Becket residence, Turner responded that she would provide the records upon payment of $10,000 to her. She said that the requested payment included $5,000 for producing the records themselves and an additional $5,000 for her unpaid guardianship services for Sara Duzan. “Ten thousand dollars is a high price to pay to find out if your loved one is alive, well and being cared for,” Paul Duzan said. Also, please sign our petition to the governor to bring Sara home on change.org. Thanks! Stan McDonald readily acknowledges that his mildly intellectually disabled son, Andy, was dangerously out of control one evening nearly 25 years ago when, living with his father and stepmother, he made threats in two instances to two female children who were their neighbors in Sherborn, MA. Andy’s behavior has improved greatly since then, McDonald says. Yet, due to a series of misinterpretations about the incidents that occurred in 1990, Andy is still considered to this day by both his court-appointed guardian and the probate court to be a danger to his community. As a result, he has been prohibited from ever returning to his hometown, and Stan has been deemed unfit to be his guardian for advocating for supervised home visits for him. In many respects, Andy’s case is similar to that of Sara Duzan, a young woman who, as we’ve reported, has been living in a group home with no contact permitted with her family. Both cases appear to illustrate the dangers to family members of giving up guardianship of an incapacitated person for whatever reasons, and they show how court-appointed guardians fail to act in the ward’s best interest in many of these situations. In 1986, Stan and his former wife agreed to the appointment of a guardian for Andy as part of the settlement of a longstanding custody battle over him. The history of Andy’s care is one in which court-appointed guardians and clinicians have consistently overridden the wishes of his family members, leading, in many cases to disastrous results. In Andy’s case, contact with Stan and Andy’s stepmother, Ellen, has not been cut off, although their contact is restricted. Stan and Ellen are allowed to visit him in his group home in Westborough two to three times per month, and Stan, now 78, is allowed to call Andy, now 46, once or twice a week on the phone. 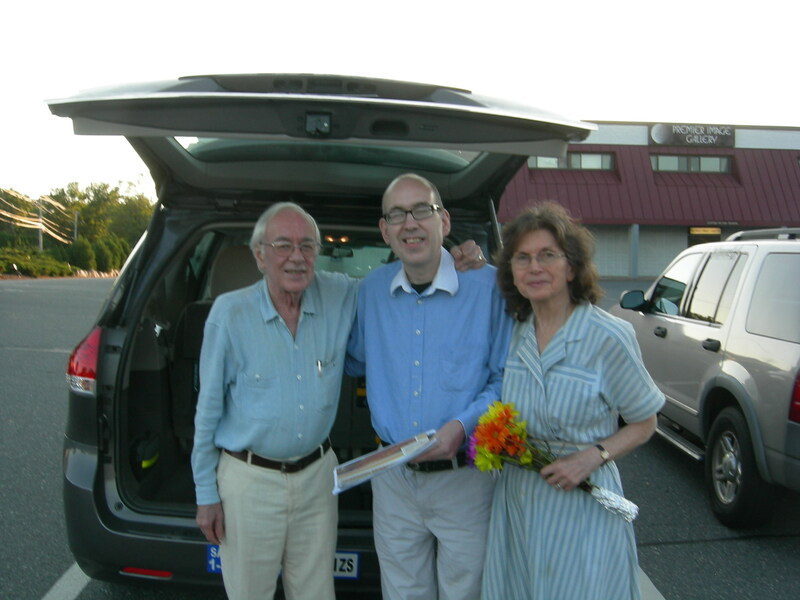 Stan, Andy, and Ellen McDonald on an outing from Andy’s group home in 2012. Stan and Ellen are also permitted to take Andy on outings in the community near his group home. But the position of the probate court and of Andy’s current guardian, Dennis Yeaw, a Shrewsbury-based attorney, is that Andy is sexually dangerous even though he was never charged with a sexual offense. Yeaw has had some 100 wards in addition to Andy. Not only is the prospect of Andy’s ever returning home not even to be discussed, but a probate court judge ruled in 2006 that Stan McDonald must personally tell his son, in the presence of clinicians, that his son would never be allowed to go home again. McDonald said he has refused to say something like that to Andy, contending it would severely depress him and would be a violation of their rights of freedom of speech and association. Andy has not exhibited any significant behavioral problems in close to a decade and has been taken on community outings to many places other than his home without any behavioral incidents, according to Stan and to notations in his clinical care plan. Yet, he has in the past told clinicians that he has had sexual fantasies about children; and that, combined with a mistaken probate court finding that he was arrested for sexual offenses in 1990, appear to have led the court to ban him for life from visits home. In 1995 and 1996, Andy was allowed three supervised visits to Stan and Ellen in their Sherborn home, and those visits took place without incident, according to Stan. After that time, however, the visits were prohibited for no clear reason, Stan says. In a 2006 ruling in which he denied Stan’s bid for guardianship of Andy, Middlesex County Probate Court Judge Edward Rockett stated that Andy had been arrested in 1990 for sexual assaults of three young girls who lived across the street in Sherborn. That was not true, however. Two arrest reports from that year tell a much different story. Andy was arrested in May 1990 for threatening an unidentified person during a telephone call, according to the district court record. The nature of the threats was not disclosed. In July of that year, he was charged with disturbing the peace in downtown Sherborn after he followed a young woman and allegedly threatened to kill her father, according to a Sherborn Police Department report. That same day, he was charged with assault after he punched Ellen, his stepmother, the same report stated. Stan says Ellen had driven Andy to the police station for his own protection after the incident in downtown Sherborn. On the way, he says, Andy was flailing his arms in protest and struck Ellen unintentionally. There is no indication in the police reports that Andy ever sexually assaulted anyone. Immediately after the July 1990 incidents, Stan McDonald had Andy committed to McLean Hospital in Belmont. Over the years, Andy has been subjected to inappropriate residential placements and treatment, in many cases because a series of court-appointed guardians, state agencies, and providers made the wrong decisions regarding his care, Stan says. Stan makes an exception for Stefan Grotz, the first in the series of Andy’s guardians, who was appointed as part of the agreement between Stan and his first wife in their divorce. Grotz authorized Stan to be his personal representative in Andy’s care, but Grotz stepped down as Andy’s guardian in 1991 because he felt he lived too far away from Andy’s then placement at Westborough State Hospital. After he was admitted to McLean Hospital in 1990, Andy was first sent to Taunton State Hospital when McDonald’s insurance ran out, and subsequently to Westborough State, a Department of Mental Health facility. Stan had originally applied in 1989 for a placement for Andy in a Department of Developmental Services facility, but his eligibility was originally denied. Stan appealed, and DDS approved Andy’s application as a client in 1990; but by that time, Andy was in Westborough State, where he remained as a DDS client until 1993. The Westborough State placement was inappropriate. Andy had earlier been found not to be mentally ill by DMH, which had determined that he would actually be harmed if housed in a facility for persons with severe mental illness. That turned out to be the case. He “deteriorated” in Westborough State Hospital for three years, Stan says. Stan was prohibited from visiting him for months at a time. In January 1993, Andy was sexually assaulted at the hospital by another patient. When the hospital refused an independent investigation, Stan says he filed a complaint with the Disabled Persons Protection Commission, which found the hospital negligent. According to Stan, when Andy was admitted to Westborough State, he was non-psychotic and medication free. But after months of confinement in a locked ward with severely mentally ill and violent patients, Andy acted out in frustration, kicking over a trash can at one point. The staff’s response was to begin medicating him, which only increased his frustration and depression, resulting in increasing medications, in a vicious cycle. Stan says DDS finally placed Andy in his current group home in 1993. Today, he says, Andy’s care in the Community Resources for Justice group home is very good, and Stan’s and Ellen’s relationship with the current staff in the residence is excellent. However, the care in Andy’s early years there was frequently substandard. In a sworn affidavit in 1999, Cameron Fraser, a staff worker in the group home in 1994 and 1995, stated that a manager of the residence told him in December 1994 that “‘he (Andy) brings in a lot of money to this program,'” and that it was “necessary to document in the daily log regular behavioral instances” in order to ensure that Andy would remain in the program. Fraser said he observed a number of instances in which the manager deliberately incited Andy into fits of rage, which required the staff to place him in restraints. Fraser also stated that the cupboards in the group home were frequently bare of food while he was there and the residents were often fed “the barest of meals, lacking basic nutritional values…” In addition, Fraser said that while other residents of the facility were allowed out on un-escorted walks, Andy was confined to the premises because he was considered a threat to the community. However, Fraser said he always found Andy to be “respectful and courteous to all around him.” Fraser further noted that Andy’s spirits were always buoyed by visits from Stan and Ellen. Stan says that for many years, Andy’s dental care was inadequate as well, and that court-appointed guardians did little or nothing to improve that. In 1994, after his admission to the Community Resources for Justice group home, seven of Andy’s teeth were found to be badly decayed, but nothing was done about that for five years. Around 1995, Stan says, he persuaded Andy’s then guardian to have Andy sent to Andy’s family dentist, who was shocked at the condition of his teeth and wrote to the then director of the group home, suggesting a stringent regime of dental hygiene for Andy. Stan says the group home director not only ignored the dentist’s advice, but ordered that Andy not return to the dentist. In 1999, Andy had to have two teeth extracted, and in 2007, he had to have three additional tooth extractions and multiple fillings under general anesthesia. In addition, Andy was over-medicated for many years with Stelazine, an anti-psychotic drug, which caused him to develop Tardive Dyskinesia, a disorder resulting in involuntary, repetitive body movements. Court-appointed guardians, he says, did little or nothing to address that problem either. Stan personally got a court order and paid for an independent evaluation of Andy’s medications. This resulted in discontinuing the Stelazine and replacement of the prescribing doctor. Today, the major problem with Andy’s group home is that it has become crowded with the addition of a fifth resident, and some of the residents have mental illness and escape impulses, making it necessary to keep the residence locked and the door alarmed, Stan says. As a result of the intense supervision needed for those residents, Andy gets few opportunities for fresh air and exercise. Also, the other residents of the group home are either 20 years older than Andy or are less functional intellectually and behaviorally, he says. And Stefan Grotz, the original court-appointed guardian in the case, wrote in 2002, after he had stepped down from that role, that “never have I met a more passionate advocate for a son than Stanley McDonald.” He strongly recommended to the court that McDonald be appointed as his son’s guardian. Stan McDonald maintains that if he was appointed as Andy’s guardian, he would keep Andy in his present program and would agree to having Andy’s supervised during visits home. On January 6, I sent an email to Scott Harshbarger, Board president of Community Resources for Justice, the nonprofit organization that operates Andy’s group home, and asked whether he would consider supporting supervised home visits for Andy and the restoration of Stan McDonald’s guardianship of his son. I have not received a response from Harshbarger, who is a former Massachusetts attorney general and former president of the citizens watchdog group Common Cause. But not all clinicians have supported the ban on Andy’s returning to his hometown. In 2000, Ronald Ebert, a psychologist, recommended that the staff of Andy’s group home try a “trial visit” to the Sherborn Inn to hear Stan, an acclaimed jazz musician, play in his band if it could be demonstrated that the persons Andy was accused in 1990 of threatening no longer lived in town. In fact, Stan says, those persons had moved away as of that time. “If such visits can be managed successfully, there is no reason why they could not be built into his visit schedule…,” Ebert wrote. But Ebert’s recommendation was never heeded, and visits to the Inn have not been allowed. There is no doubt that the conditions under which Andy lives have greatly improved in recent years. But it seems to us that those in charge of Andy’s care still haven’t fully recognized the progress that Andy himself has made over the years. There is no question that the charge that Andy is sexually dangerous is an explosive one. But the record regarding this charge contains misinformation and contradictions. The insidious nature of a charge of sexual dangerousness, if it is untrue, is that it has been used and could be used at any time in the future to restrict Andy’s freedom to a much more extreme degree than is even now the case. Stan notes that a clinical team report or assessment was done of Andy’s level of disability in 2012 for the probate court, but neither Stan nor Ellen were interviewed for that assessment. The probate court’s instructions for completing clinical team reports, however, state that clinicians should interview the individual “and persons who know him/her well” (emphasis in the original) in conducting those assessments. Neither Stan nor Ellen were provided with a copy of the report or informed of its conclusions. We think a new and independent clinical evaluation should be done that takes into account Andy’s current record of behavior and includes input from his family and others with knowledge of Andy. We would also hope that such a report would be provided to Stan and Ellen for their review and comment. After all, it is only family members in this case — namely Stan and Ellen — who have shown they have the knowledge and unconditional love and support needed to provide the best possible care for Andy. On December 17, I published a post on this site, which referred to a proposed contract with Lynne Turner, a court-appointed guardian for Sara Duzan. Turner, who was appointed Sara’s guardian in December 2011, proposed a contract for her guardianship services for Sara that specified fees to the Duzan family of $200 per hour for services from Turner, $200 per hour for services from another unnamed attorney in her firm, and $75 per hour for a paralegal and $25 per hour for a clerk in the firm. The proposed contract was signed by Turner. It was incorrect of me to have added those hourly charges together to state that the total proposed hourly charge to the Duzans was $500. I regret the error. The post has been corrected. Two initiatives in two separate states call for something that would seem to make perfect sense — expand the missions of congregate care facilities for the developmentally disabled, and merge them with their surrounding communities. In one case, the State of Delaware is proposing to expand services available at the Stockley Developmental Center by offering medical and dental care now available there to developmentally disabled and under-served persons living in the community. A Delaware state task force has also called for considering an indoor community sports center or outdoor playing fields at the Stockley facility; and opening up a therapeutic horseback riding program and a therapeutic pool at Stockley to the surrounding community as well. Like most of the developmental centers in Massachusetts, the Stockley Center sits on hundreds of acres of largely unused land, and currently serves only a small fraction of the hundreds of people who lived there four decades ago. In the second initiative, the Arc of Jacksonville in Florida has been awarded state funding and tax credits to help construct a “planned neighborhood” in that state for adults with intellectual and developmental disabilities, according to The Florida Times Union. The newspaper reported that the “Arc Village” will house about 120 adults – ages 18 and older – in 97 one- and two-bedroom apartments. The $17.7 million project will allow residents to “live, work, shop, recreate, and socialize,” in one place. But the Patrick administration in Massachusetts has voiced its opposition to congregate care and has moved to close four out of six remaining developmental centers in this state. Two of those centers have now been shut and most the residents have moved either to one of the two remaining centers or to group homes throughout the commonwealth. Longstanding proposals by advocates of those developmental centers to more effectively merge them with their surrounding communities — similar to the Delaware proposal for the Stockley Center — were all rebuffed by the Patrick administration. Meanwhile, the federal Centers for Medicare and Medicaid Services (CMS) are moving to change their definition of federally reimbursable community-based care to exclude even group homes that happen to be located on the grounds of, or even near to, a public institution such as a developmental center. And the National Council on Disability has declared that an “institution” is a “facility of four or more people who did not choose to live together.” The NCD’s definition, which applies even to many group homes, was contained in a report in 2012 that states in its first sentence that closure of all such “institutions” should be “a top public policy priority in every state where such institutions exist.” The NCD advises the president and Congress on disability issues. It’s hard to imagine the NCD supporting the Arc of Jacksonville’s proposal, in particular, which would establish a single setting, albeit a “neighborhood,” which would house 120 clients. And the Stockley Center proposal would not appear to conform to the CMS’s proposed definition of community-based care. It seems to us, though, that the inclusive approaches being proposed in Delaware and Florida represent the future of care of the developmentally disabled in this country. Both proposals appear to recognize that congregate care is a valid option for people who want and need it, and that it can coexist with, and even be a part of, community-based care. Note that we’re not saying congregate care is right for everyone or that it should replace care in smaller settings. Creation of a facility at Stockley to support respite care, both for individuals with disabilities in the community system and caregivers. Developing fully accessible community vegetable gardens for an “integrated community” of county residents, including low income families; and hosting a farmers’ market. Creating a “model of mixed-use development”on the Stockley campus site, including affordable housing, stores, restaurants, dental and medical, and recreational facilities. Creating a training center to provide professional development for medical and care providers. Encouraging schools to use the Stockley property for nature and science instruction. Providing education, support, life skills and vocational or job training programs for people with disabilities. Creating a center for volunteer and nonprofit groups. Creating an outdoor trail system for users of all ages and abilities. Contrast the excitement and vision of that approach with Massachusetts where we’ve seen only the systematic dismantling of congregate care for people with developmental disabilities. We will soon be down to two remaining ICF-level care centers, and what remains of state-operated care is under siege as facilities and services continue to be privatized. It’s refreshing to know that not all state administrations have that mindset, and that in some places, new ideas are being tried by people who are not blinded by outdated ideologies. We, however, are being left in their dust.